The SAG Awards Blog: How Well Do You Know Rita Moreno? How Well Do You Know Rita Moreno? 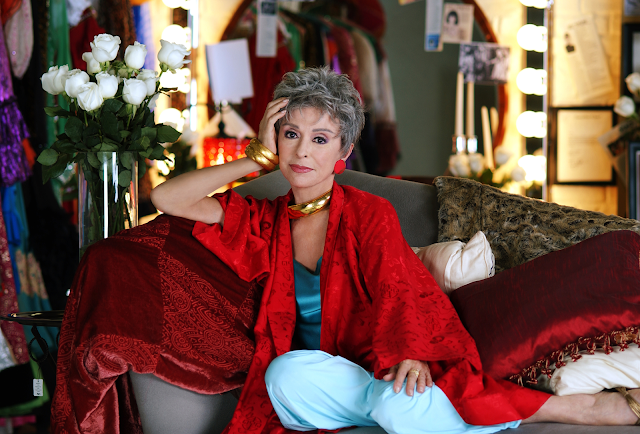 As you may have heard, Rita Moreno has been named 50th SAG Life Achievement Award recipient! She'll be presented the award at the 20th Annual SAG Awards ceremony, airing live on Saturday, Jan. 18 at 8 p.m. ET / 5 p.m. PT on TNT and TBS. In _____, she won the Academy Award for Best Supporting Actress in ______. In the film version of the musical ________, she played Tuptim. Whoopi Goldberg, John Gielgud, Helen Hayes, Audrey Hepburn and Rita Moreno are all actors who have won which four top entertainment industry honors? In _____, a TV show based on the hit movie starring Lily Tomlin, Jane Fonda, and Dolly Parton, Rita played ______. In which educational TV series did Ms. Moreno voice a villain who is very difficult to find? In 2009, President Obama presented her with the __________, the nation's highest cultural honor. Rita Moreno moved to New York City from ________at the age of ______. In 1954, she was featured on the cover of what major national publication? Want to know more about Rita? Click here to read more about our 50th Life Achievement Award recipient!